Elena Shaddow and the royal children in Rodgers & Hammerstein’s The King and I. It's summer in Kansas City again, and that means that it's time to spend some evenings out under the stars at the iconic Starlight Theatre. Starlight has a lineup of many Broadway shows to entertain and astound you this year - and this week is your chance to catch the Lincoln Center Theater Production of Rodgers & Hammerstein’s The King and I.
Elena Shaddow as Anna Leonowens in Rodgers & Hammerstein’s The King and I. The King and I originally opened on Broadway in 1951 and played for nearly three years. 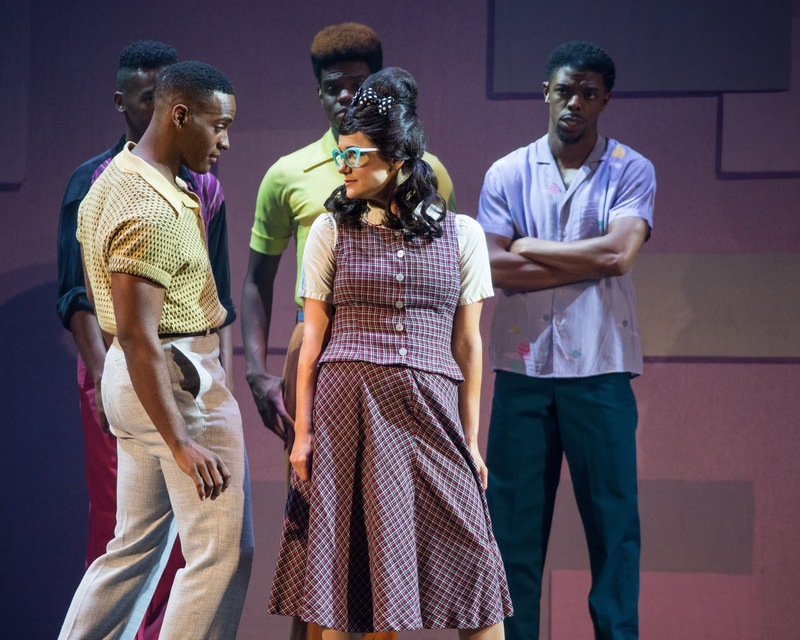 It has since had many revivals, most recently at the Vivian Beaumont Theater, where the production won four Tony Awards in 2015. Elena Shaddow, Baylen Thomas and Rhyees Stump in Rodgers & Hammerstein’s The King and I. One of Rodgers & Hammerstein’s finest works, THE KING AND I boasts a score that features such beloved classis as "Getting To Know You," "Hello, Young Lovers," "Shall We Dance," "I Have Dreamed," and "Something Wonderful." 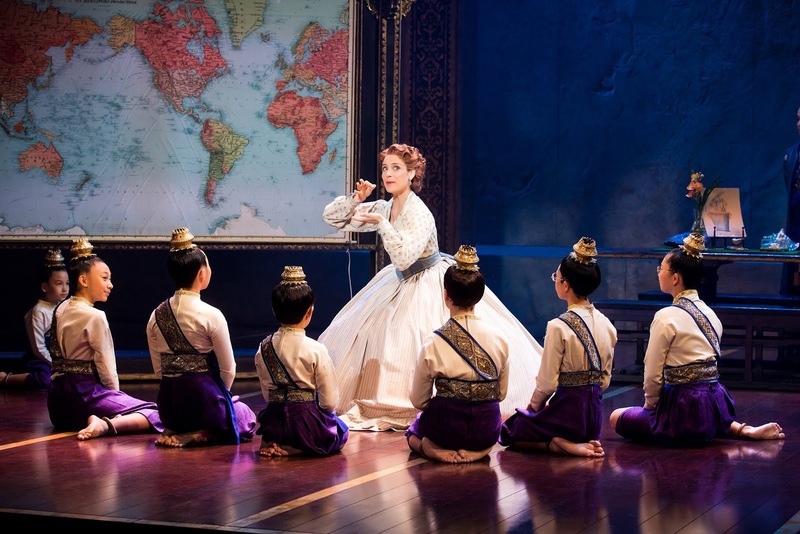 Set in 1860's Bangkok, the musical tells the story of the unconventional and tempestuous relationship that develops between the King of Siam and Anna Leonowens, a British schoolteacher, whom the modernist King, in an imperialistic world, brings to Siam to teach his many wives and children. 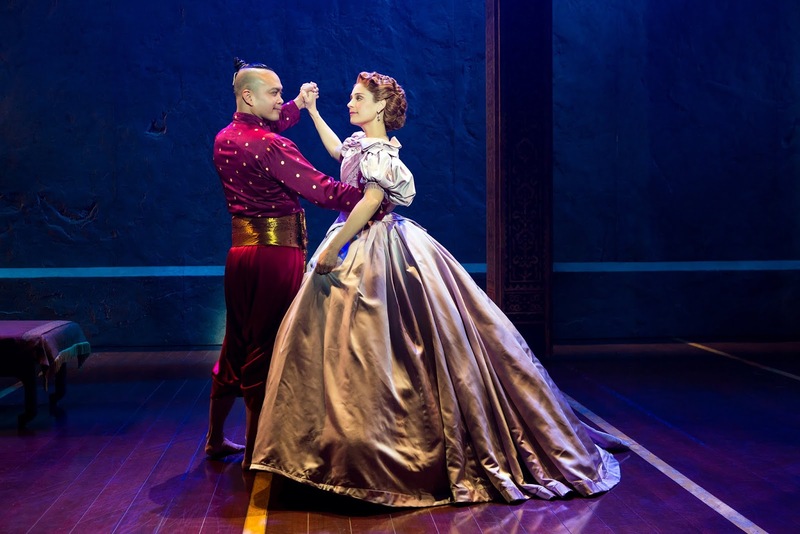 Jose Llana and Elena Shaddow in Rodgers & Hammerstein’s The King and I. 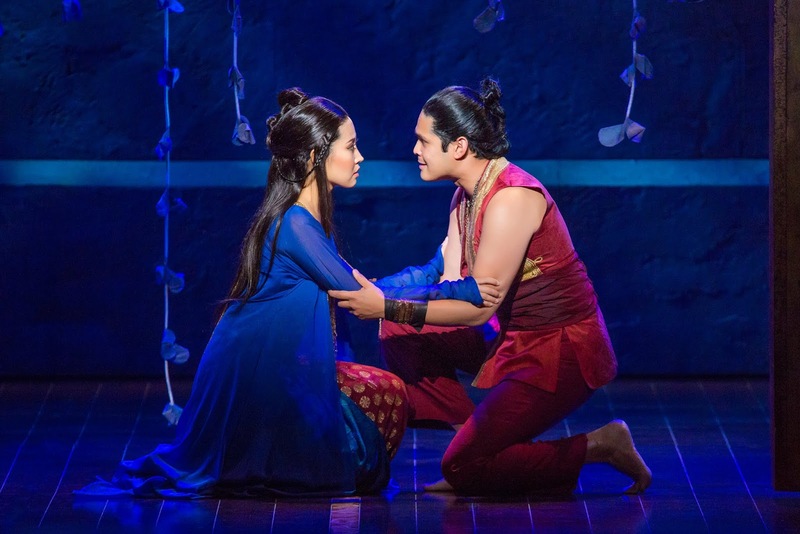 This production, led by Jose Llana (The King of Siam) and Elena Shaddow (Anna Leonowens), is absolutely visually stunning to watch. It was not difficult to believe that we had left the Western world and entered into an unfamiliar, breathtaking place in Siam. 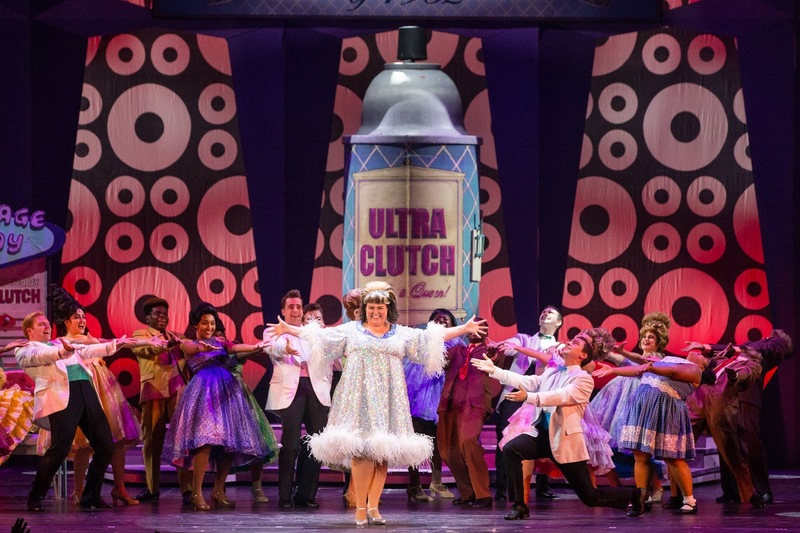 The Tony-Award winning costume design by Catherine Zuber left me wishing I could touch each of the vibrant colors and rich textures of the fabrics used. 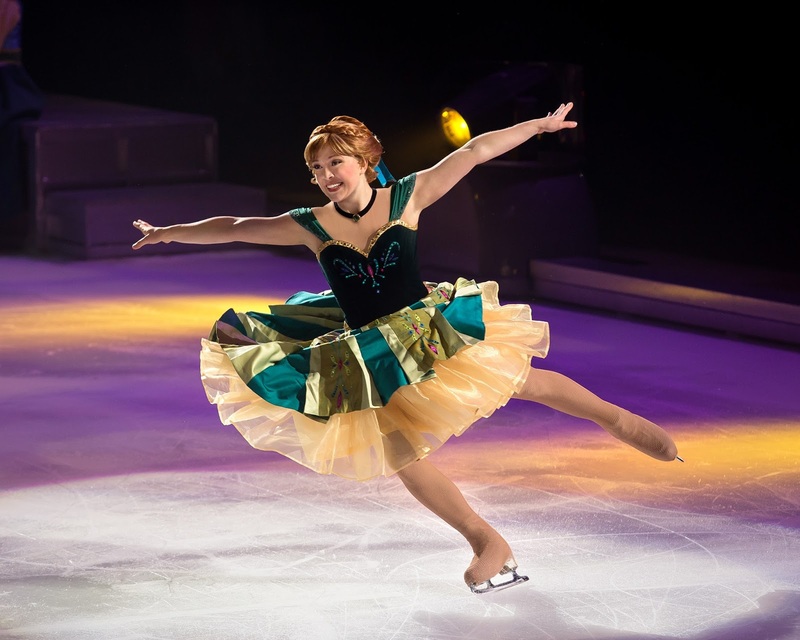 I could have watch Anna dance in the "Shall We Dance?" 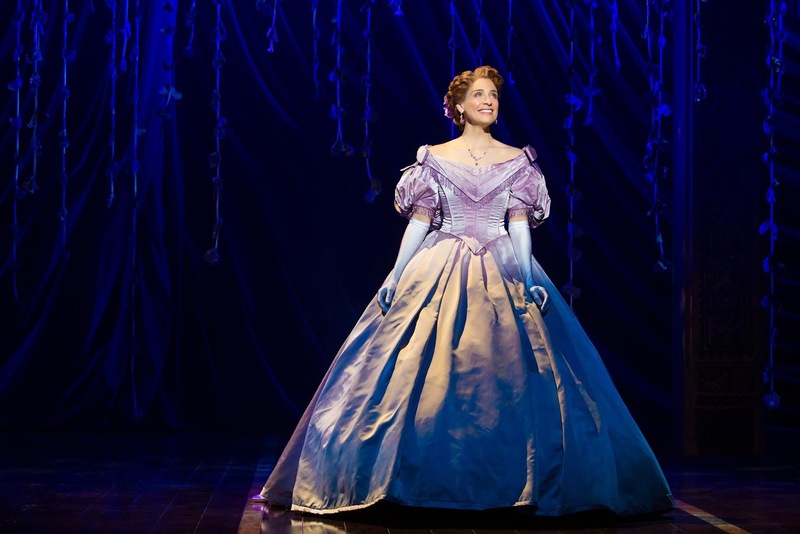 ballgown for much longer than the song allowed! The cast is strong and supports each other well. 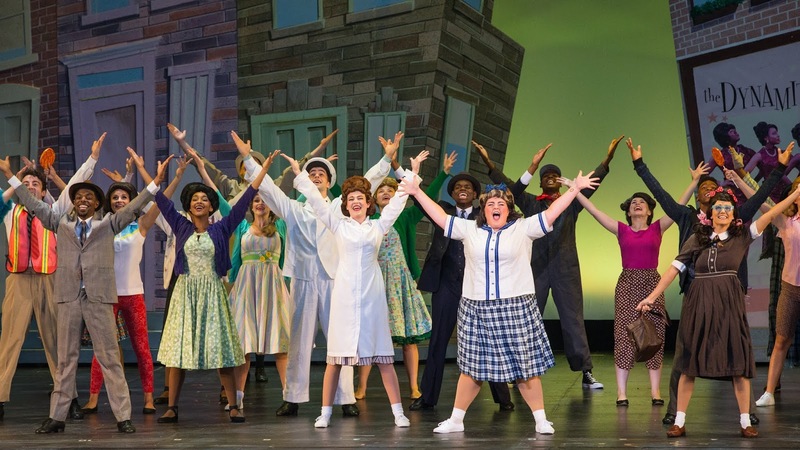 Overall, this production is well worth spending an evening under the stars for - and you will have missed something truly wonderful if you let it leave Kansas City before you've seen it! Q Lim as Tuptim and Kavin Panmeechao as Lun Tha in Rodgers & Hammerstein’s The King and I. Tickets for The King and I at Starlight Theatre are on sale now for $14+. 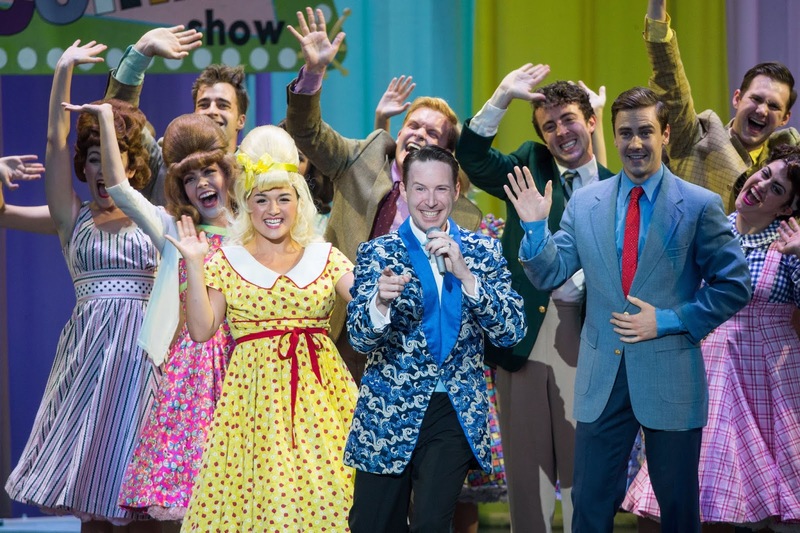 Tickets are available online at Starlight Theatre, by calling 816.363.STAR (7827) or at the Starlight box office at 4600 Starlight Road, Kansas City, MO 64132. 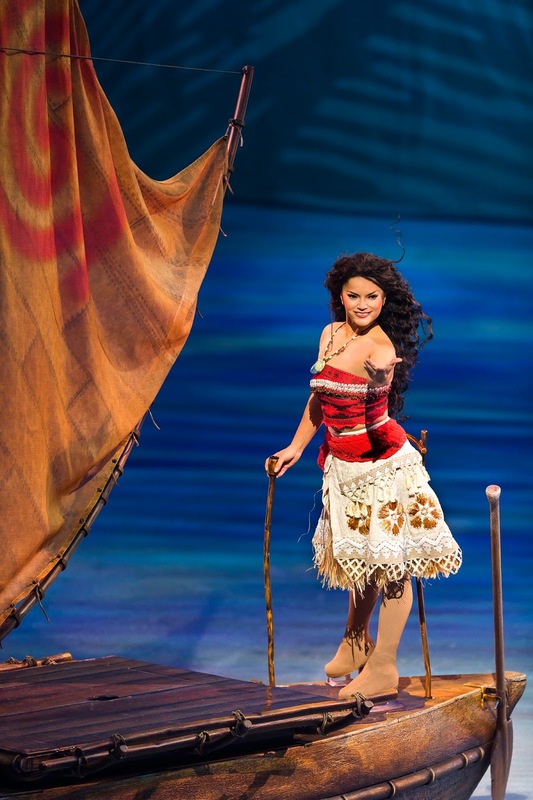 Evening performances begin at 8 p.m. 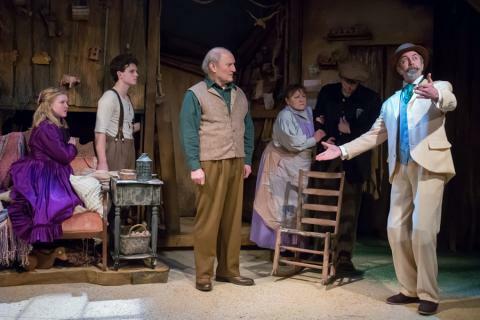 It may just be barely springtime in Kansas City, but at the Coterie Theatre - located inside Crown Center - you can already feel the sweltering, overbearing heat of the first week of August. The Coterie has been transformed into the small town of Treegap, and a visit to this odd little place is a must for KC area families this spring. 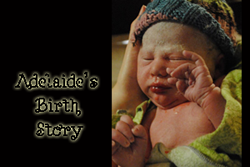 by Natalie Babbitt and adapted by Mark J. Frattaroli. Directed by Jeff Church. Live on stage at The Coterie, February 27 - April 5, 2018. Photo by J. Robert Schraeder and courtesy of Coterie Theatre. 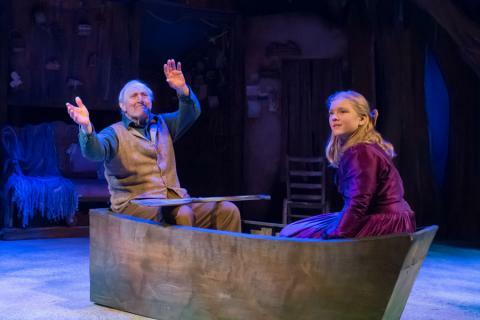 Tuck Everlasting tells the story of Angus and Mae Tuck and their boys Miles and Jesse, who live an extraordinary life thanks to a spring of water they discover in the woods of Treegap. After drinking from the spring, they never age - not a single day. The family separates to throw off suspicions, but they reunite once every ten years near the spring where it all started. It just so happens that young Winnie Foster runs into Jesse Tuck near the spring during one of the family's reunions...and before she knows it, she is drawn into their secretive and adventurous world. 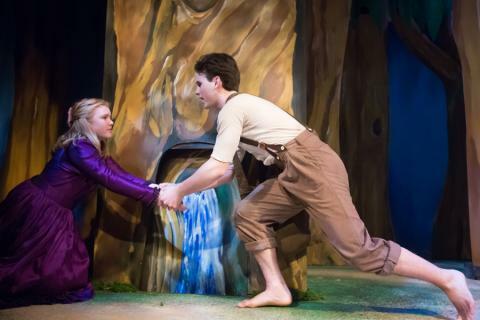 (as Winnie Foster) in Tuck Everlasting by Natalie Babbitt and adapted by Mark J. Frattaroli. Directed by Jeff Church. Live on stage at The Coterie, February 27 - April 5, 2018. 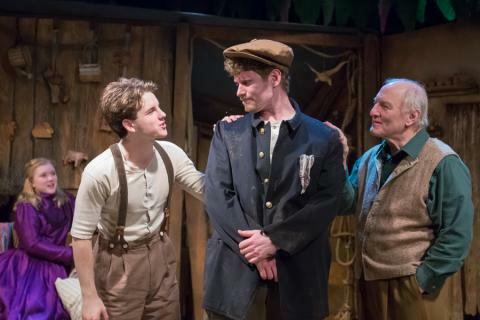 As usual, the Coterie has put together a production that is thought-provoking, charming, and heartwarming all at once. Each of the characters brings their own piece to the story, and their lives are all undeniably changed by the friendships which are made as the show unfolds. 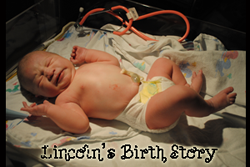 by Natalie Babbitt and adapted by Mark J. Frattaroli. The cast features Gary Neal Johnson, Nancy Marcy, Fisher Stewart, Tyler Alan Rowe, Jonathan Lloyd Schriock, George Forbes, Aurelia Power, and Bonita Hanson. 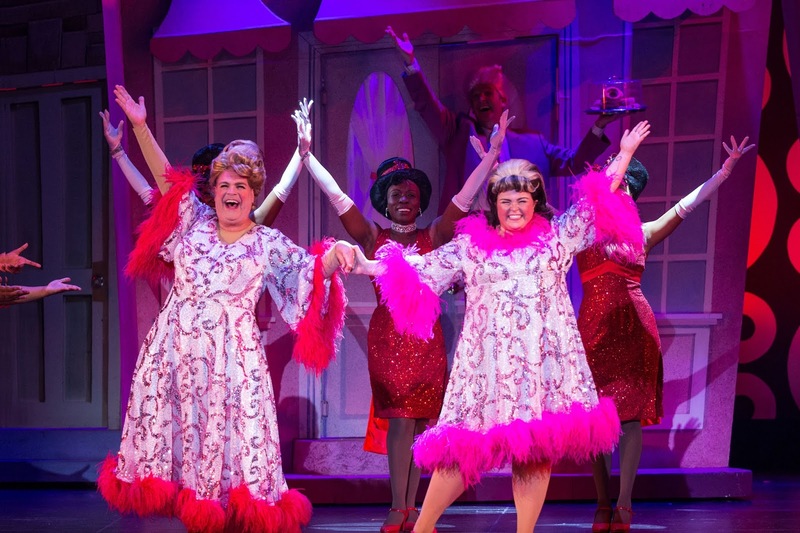 The cast worked well together as an ensemble and created a magical world onstage that was easy to believe. Gary Neal Johnson may be recognized by Kansas City audiences as Ebenezer Scrooge in A Christmas Carol at the KC Rep, and I enjoyed the chance to see him portray another character as Angus Tuck. Fisher Stewart, who played Jesse Tuck, kept the audience in stitches with his acrobatics and comedic timing. 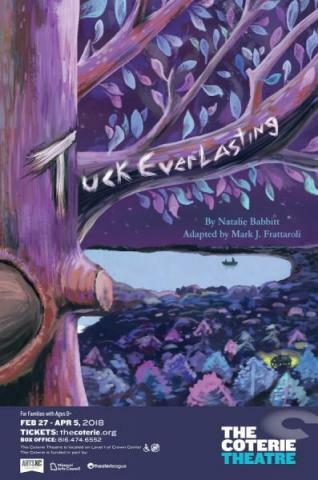 Tuck Everlasting by Natalie Babbitt and adapted by Mark J. Frattaroli. Directed by Jeff Church. 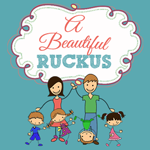 The production is recommended by the Coterie for families with children who are 9 or older. 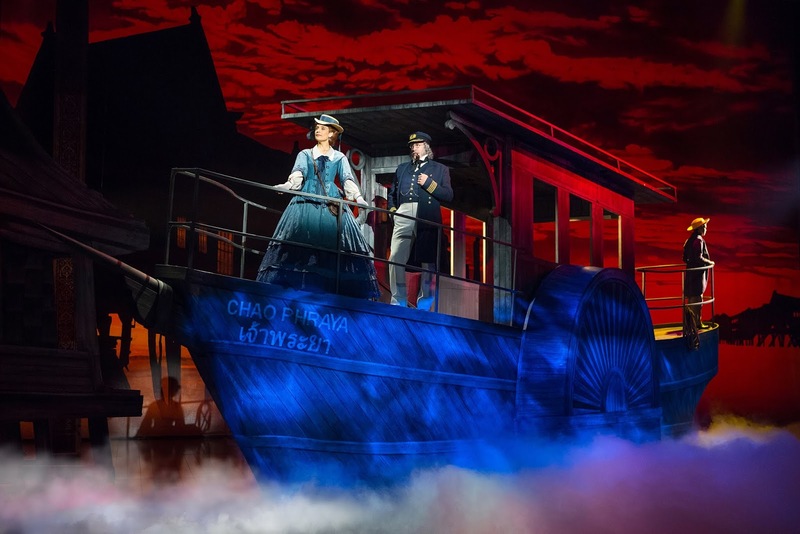 The show runs about 65 minutes with no intermission and is a perfect way to spend an afternoon or evening while exploring Kansas City. Natalie Babbitt and adapted by Mark J. Frattaroli. Directed by Jeff Church. 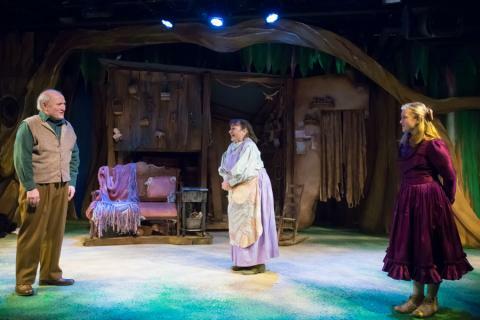 Tuck Everlasting plays now through April 5 at the Coterie. Tickets are available online. 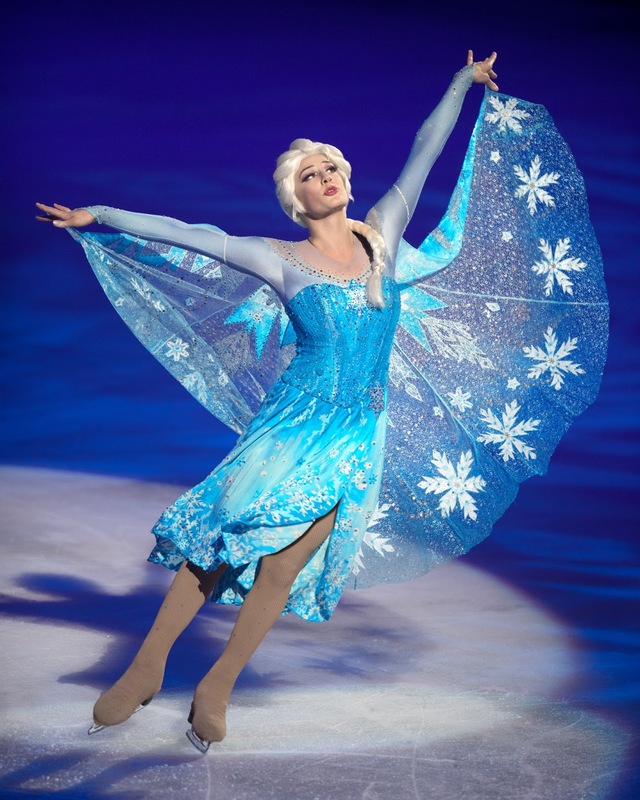 Oh my goodness, we are so excited - Disney on Ice is headed back to Kansas City at the end of the month! We've been so excited for this particular ice show for awhile, because my daughter is obsessed with Rapunzel. She cannot wait to see Rapunzel live and in person (we're hoping she waves at us again). 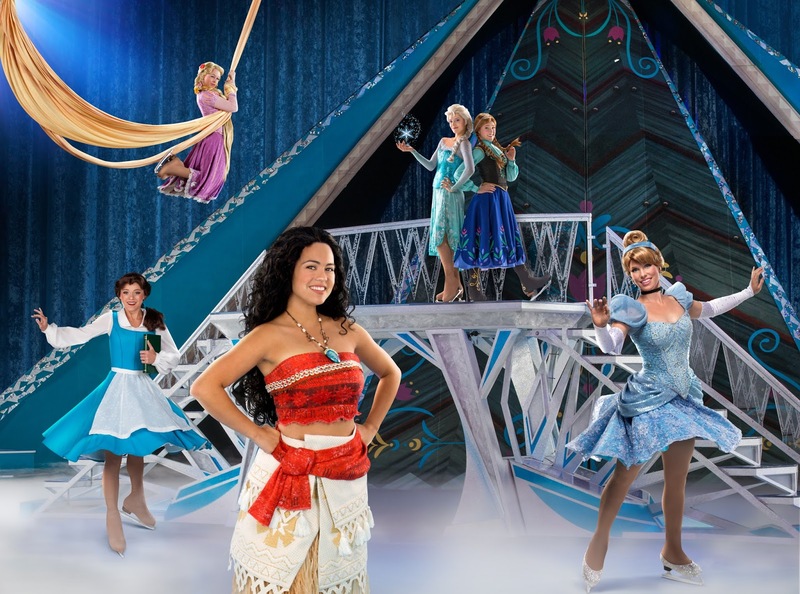 While my daughter is referring to the upcoming event as "the Rapunzel show," Dare to Dream also features many other famous and well-loved Disney characters - including Moana, Elsa, Anna, Belle, Cinderella, and Mickey and Minnie! It's said to be an expedition across raging seas and snow-covered mountains in this action-packed extravaganza. This show will play March 28-April 1 at the Sprint Center in Kansas City! Wednesday, March 28: 7 p.m.
Thursday, March 29: 7 p.m.
Friday, March 30: 10:30 a.m., 3 p.m., 7 p.m.
Saturday, March 31: 11 a.m., 3 p.m., 7 p.m.
Sunday, April 1: 3 p.m.
• Wednesday, March 28, 7 p.m.
• Thursday, March 29, 7 p.m.
• Friday, March 30, 10:30 a.m.
• Friday, March 30, 3 p.m. This giveaway is open to US readers only. Winner will be emailed and will have 24 hours to respond or prize will be forfeited. I blinked...and the holidays are here. How did that happen?! Holiday gift-giving is so much fun, and I especially love it when I can incorporate some oily goodness into it. 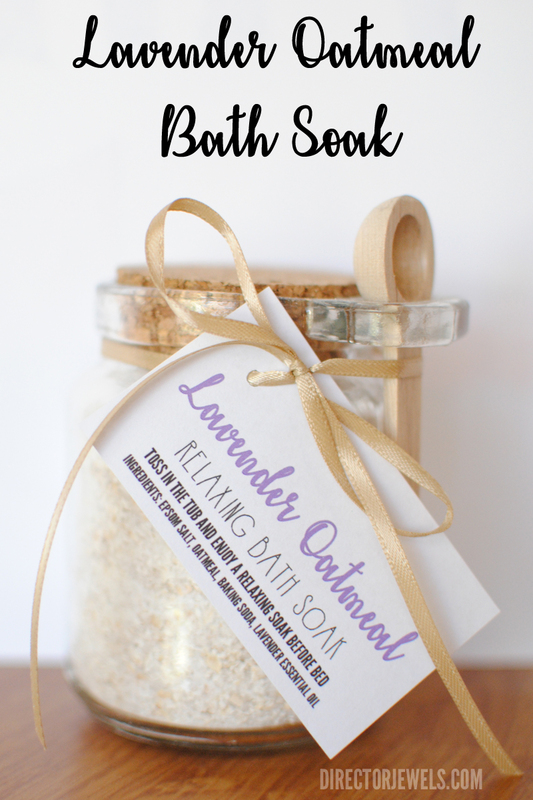 I had to prep a really quick gift last week, and I ended up making this Lavender Essential Oil Oatmeal Relaxing Bath Soak. 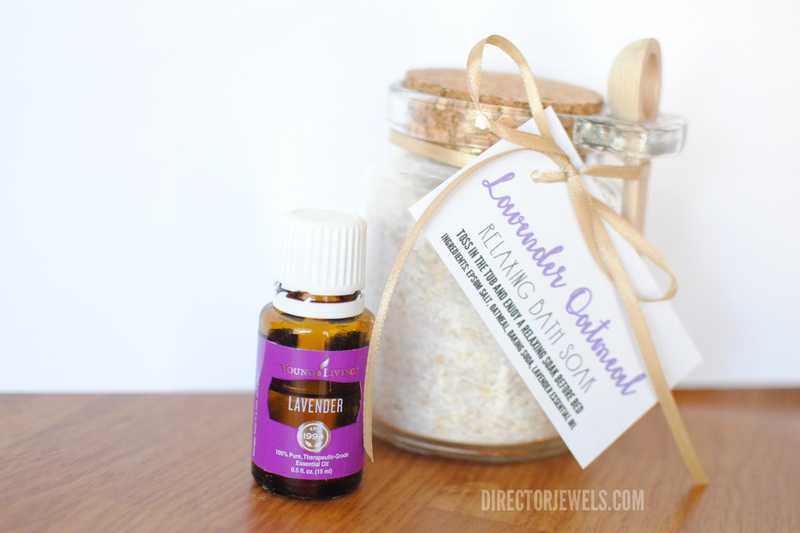 This idea was adapted from Young Living's own Lavender-Oatmeal Bath Soak recipe. This recipe is SO easy to make - it didn't take long at all! I put some in bath jars, then put even more in 3x4" plastic bags so that I have them on hand for last-minute gifts. Then I printed up a quick label to attach to the jars and the bags! I've made that into a PDF (linked below) so that you can make them quickly, too! I've also made these Lavender Essential Oils Bath Bombs in a pinch for a quick gift, but they take a bit longer than this soak. 1. Put oats in a food processor and grind until they reach a fine consistency (like flour). 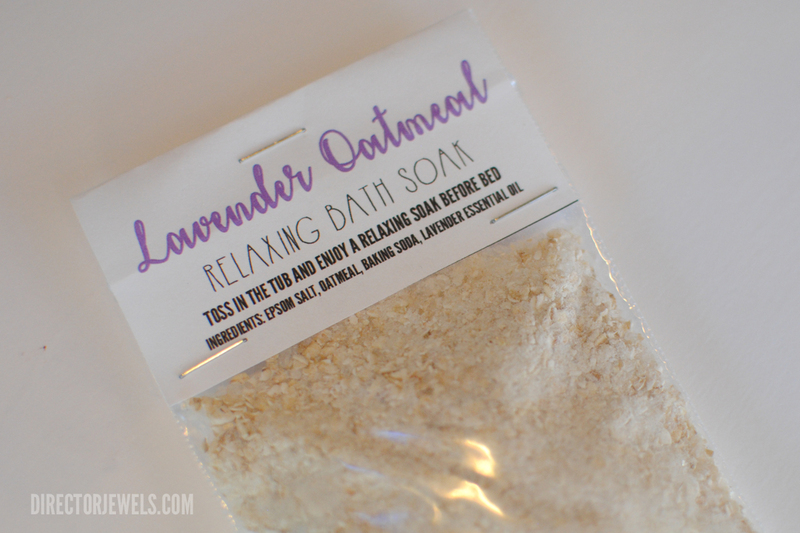 You'll probably have some floating oatmeal flakes in the bathtub, so the smaller you can grind them, the better. 3. Add essential oils and stir until they are distributed evenly. 4. Toss about 1 cup in the bathtub when you need some time to relax! And that's it! See? Super easy. Who is on your gift giving list this Christmas? I think I will give some of this goodness to friends, family, teachers, students....basically anyone who could use a little "me" time! And I think I'll keep a huge jar of this on my own bathroom counter, too!